Hello, friends! Can you believe we're already one month down for the year? Have you been reading any good books this past month? 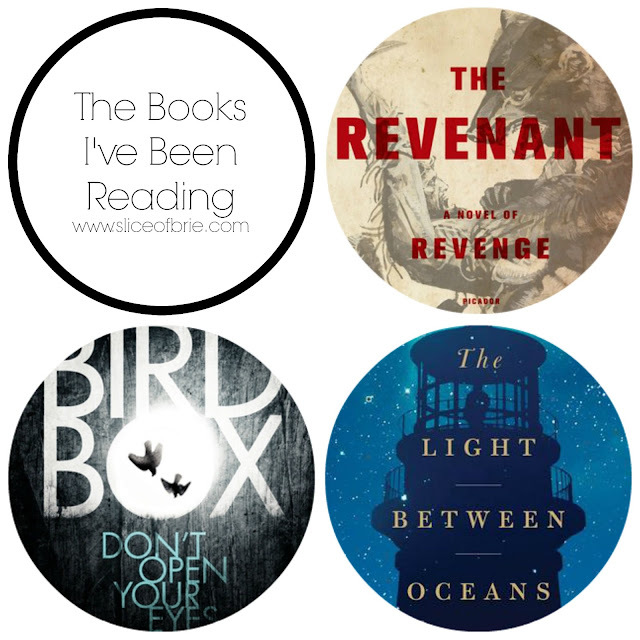 My reading started out strong for the new year and I read three really great books in January. All very, very different books, but enjoyable just the same. I love starting out the beginning of the year on a high note when it comes to reading. That way, I'm motivated to continue choosing to read my current book, instead of succumbing to the pull of social media or my phone. It can be a bit frustrating when you read a few duds in a row. THE REVENANT by Michael Punke: I'm sure you're all familiar with the movie of the same title starring Leonardo DiCaprio. The film, in this case, follows the book very loosely - basically, other than the bear attack very little of the plot is the same. That being said, this is one of those very rare cases where I actually thought the movie was better than the book (despite their many differences). While the book goes into much greater detail about the main character's journey while seeking revenge (surviving not only in the wilderness, and from a brutal bear attack, but the harsh and unforgiving cold, cold winter months), the movie delivers a much more intense storyline and delivery of said revenge. The ending in the book was quite underwhelming, but the story to get there was interesting and suspenseful while also providing a bit of a history lesson (I had forgotten how violent and unstable the relationship between white man and the Indians had been during the time of the fur traders). BIRD BOX by Josh Malerman: If you follow me on social media at all, then you've probably heard me sing this book's praises. This was hands down, the scariest thing I have ever read, and I'm pretty sure it beats out all scary movies I've ever seen (except for The Ring, *shudder*). It's not a horror/slasher book though. It's a suspenseful and terrifying novel of how powerful our minds can be. When the world as you know it has come to an end, and an unseen deadly force lurks outside your home's very own doors and windows and the only protection from this thing is keeping your eyes closed shut, well that my friends, is utterly TERRIFYING. Imaginations are a powerful thing and trusting in yourself and others becomes questioned and tested. I still don't know how the author was able to invoke such tension and fear in every single page, but he did. I dare you to read it! THE LIGHT BETWEEN OCEANS by M.L. Stedman: My heart is still a little sore from reading this book. This is a heartbreaking and touching story of love, loss, secrets, betrayal and how the choices we make always have a ripple effect. Isobel and Tom live on a small island off the coast of Australia, where Tom is the lighthouse keeper. The first world war has ended and life on the island is quiet, serene and isolating. After suffering two miscarriages and one stillbirth, Isobel fears she will never become a mother, until one day, a rowboat shows up on shore bearing a tiny infant. Isobel is convinced that the baby is a gift from god, while Tom is torn between reporting the discovery and doing anything to make his wife happy. Sometimes even good, honest people make rash decisions that will hurt and effect more people than they could ever understand. A story that is sure to stay with your for a long, long time. Have tissues handy! Scariest book you've ever read? Scariest movie you've ever seen? A movie you preferred over the book? 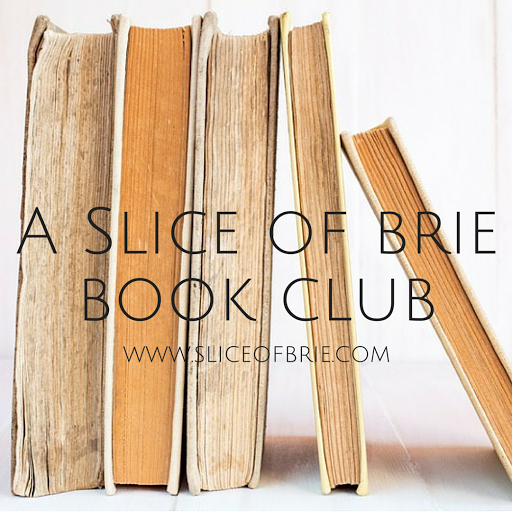 Linking up with Jana & Steph for SHOW US YOUR BOOKS!